Welcome to the Plains of Eidolon. Sentients once fought on this battleground in an attempt to destroy a massive Orokin Tower that the Ostrons now call home. The Sentients’ defeat is forever immortalized in the ancient graveyard that litters the Landscape. Time in the Plains cycles the same for all Tenno. For every 100 minutes of beautiful sunshine, there are 50 minutes of haunted night. The Grineer have organized drilling stations and sprawling outposts throughout the Plains to excavate the technology of the Old War. 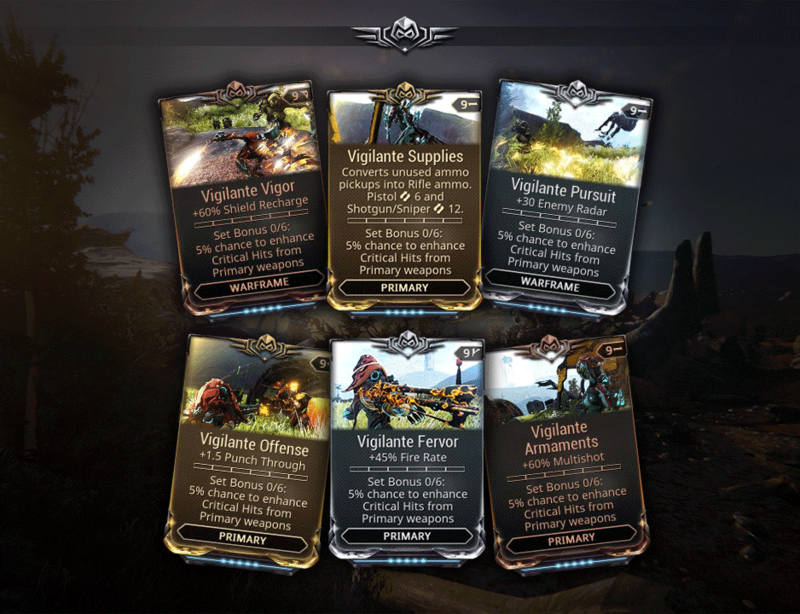 Take missions from the Ostrons to fight Grineer during the day and clear out their bases, but be fast, as these Grineer will call reinforcements when they spot danger. 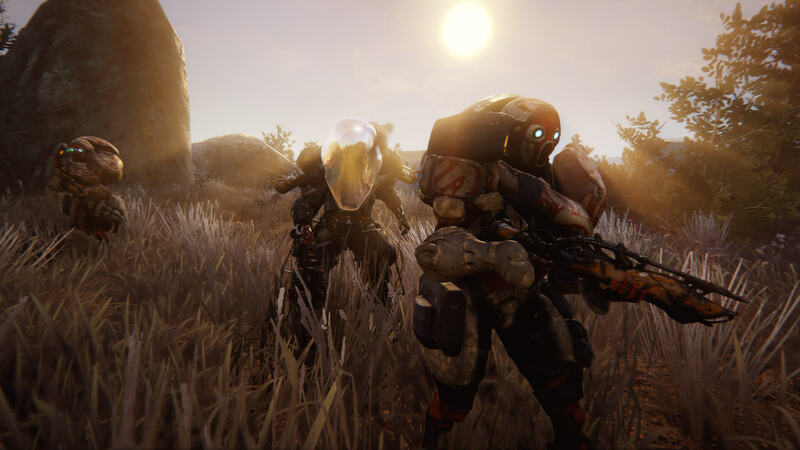 As you venture deeper into the Plains the Grineer enemies will get progressively stronger, so come prepared. 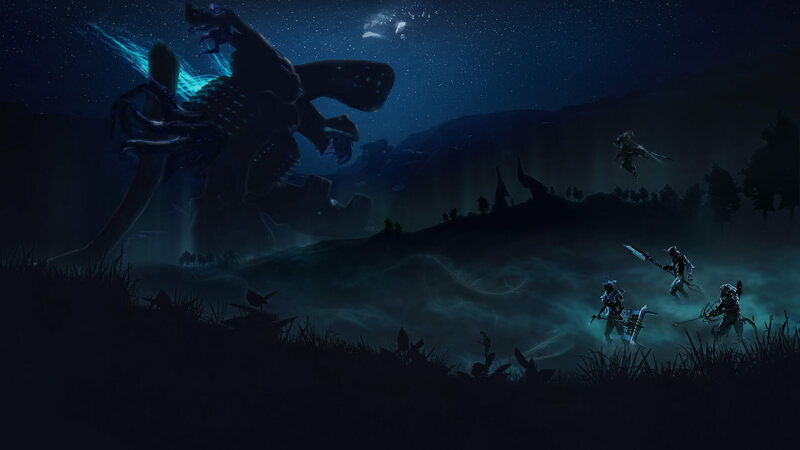 When night falls on the Plains, towering Spectral Sentients known as Eidolons ascend from the waters and wander in search of all they’ve lost. 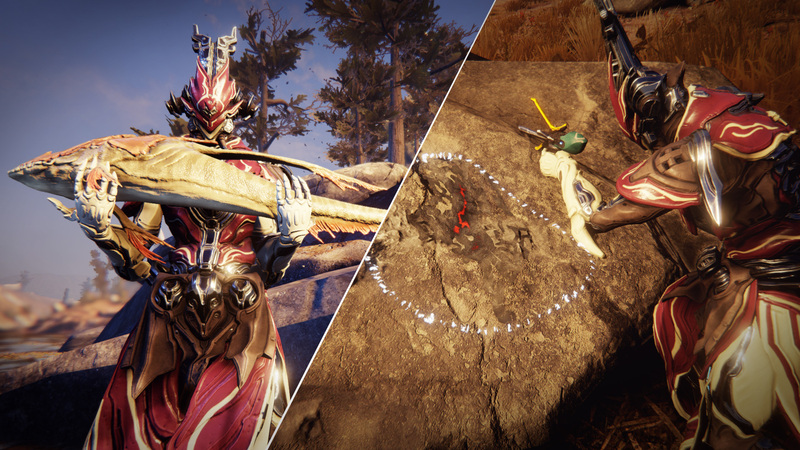 Small, deadly Sentient drones appear throughout the Plains to protect the Eidolons. Many Grineer will retreat to their camps in fear of the Eidolons and attempt to wait out the night. 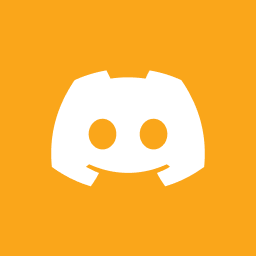 Gather your fellow Tenno. You’ll need to work together to take down these massive creatures. Only the greatest Eidolon Hunters that combine forces will reign victorious. 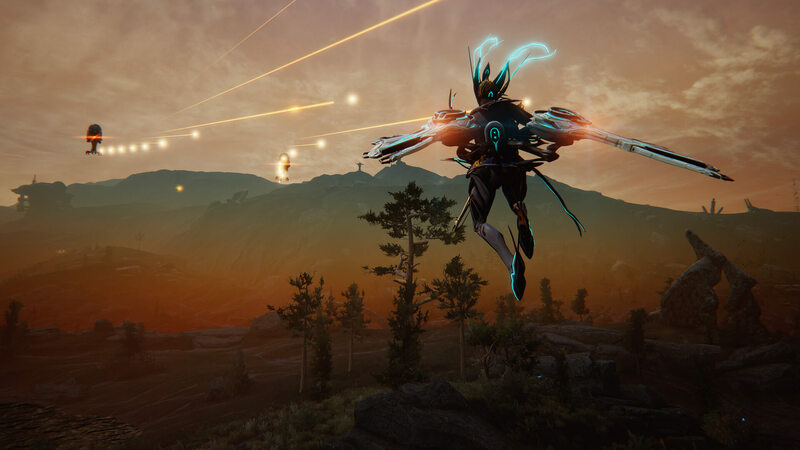 When you’re not sliding down hills or Bullet Jumping over mountains, you can summon your Sky Archwing at will to fly through the open Landscape. Spot and battle Grineer enemies from the sky and experience the beautiful scenery. 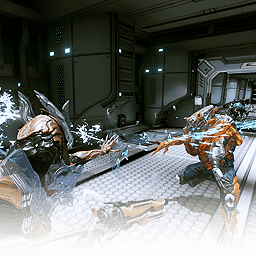 Movement for your Archwing has been reworked to make it easy to fly through the Plains and engage enemies on the ground. Experience the great outdoors like never before! Craft spears and bait to catch a variety of fish species and return them to the Ostrons to make consumables. Mine for ore and rare gems that have been affected by traces of Spectral Energy left over from the Old War. Venture far into the wild to explore hidden caves that hold secrets of their own. 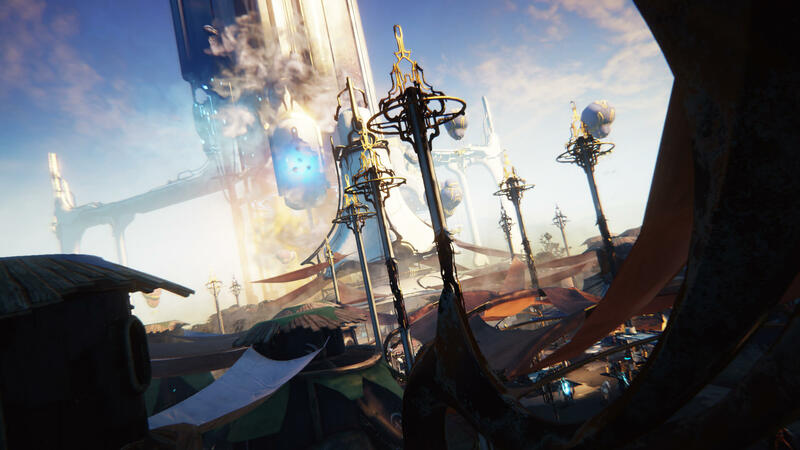 Use your new-found freedom to explore the bustling town of Cetus. Learn about its scavenger-inhabitants, the Ostrons, and their rich culture that revolves around the grotesque harvesting of biomechanical tissue from long-dormant Orokin Towers. Talk to the Ostrons in town to discover how the ongoing war with the Grineer has shaped their lives. 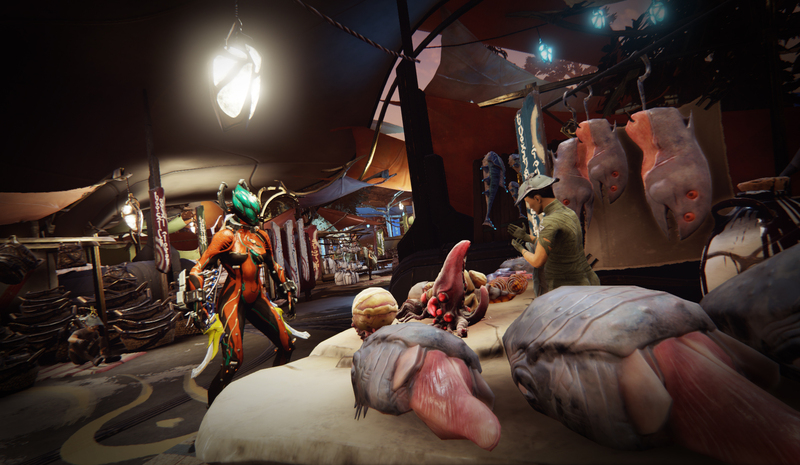 Increase your Standing with the Ostrons by completing their requested missions and they’ll share their culture and knowledge while granting you access to their wares. 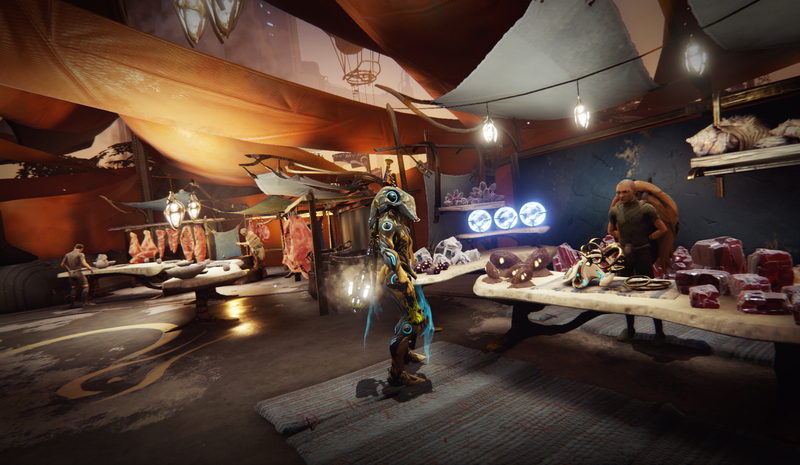 Cetus’ merchants have everything you’ll need for time on the Plains. Want to immediately engage in battle? Pick up Bounties from Konzu. Feeling hungry for dinner? Go to Fisher Hai-Luk to unlock a variety of spearfishing equipment and bait. A wealth of options are at your fingertips! Forge your own unique weapon, refine minerals to gems, customize your companions and Orbiter with all new Decorations, and buy paper mache Warframe masks for your Operator. 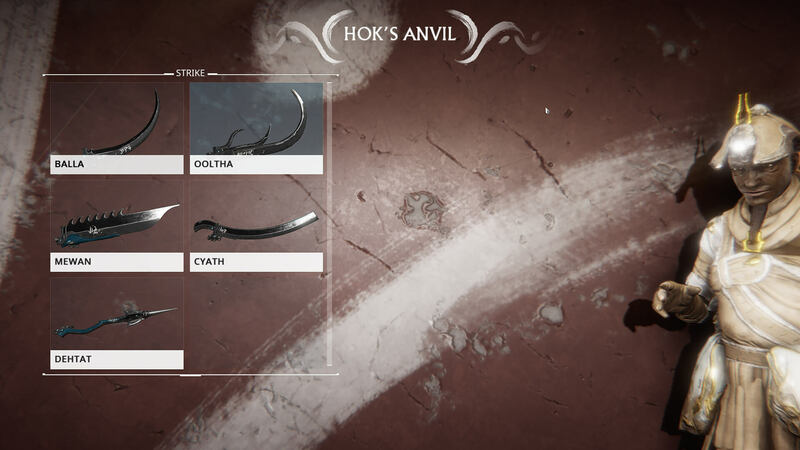 At Hok’s Anvil you have the ability to design and build a new weapon using the Ostrons’ component-based crafting. 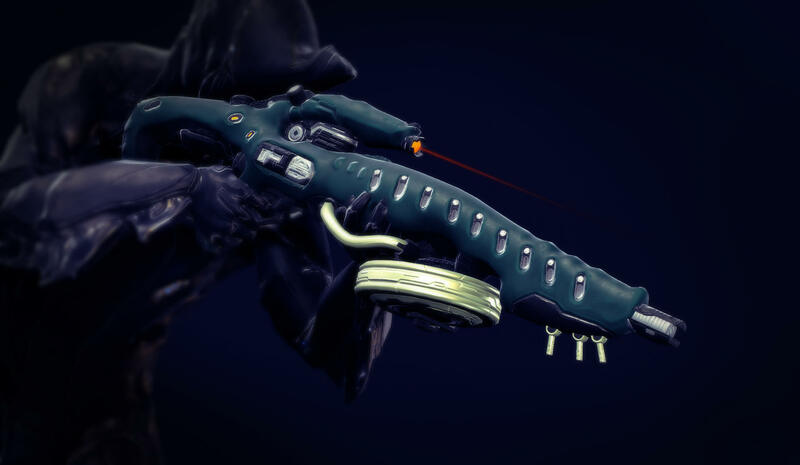 Zaws are modular weapons with interchangeable components that affect the appearance, functionality, stances, and stats of the weapon. They are forged using three weapon parts; a strike, grip, and link — all of which are obtained by crafting Blueprints that Hok provides. 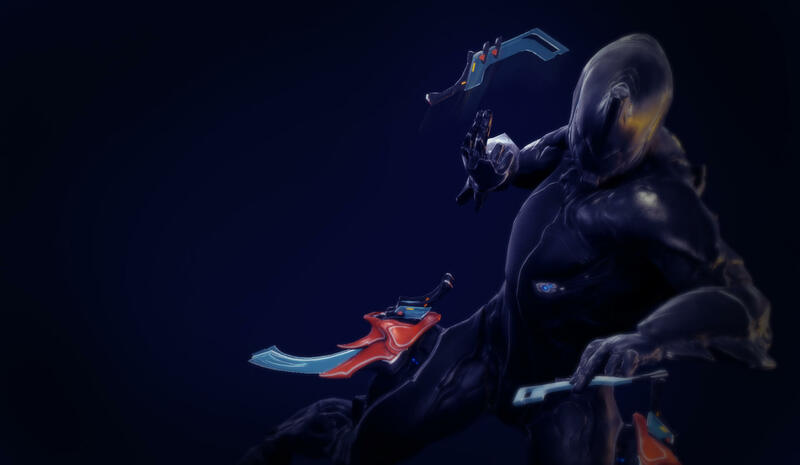 Name your Weapon, improve it by adding Gilding, or earn Cetus Standing by pledging the Zaw to the Ostrons. 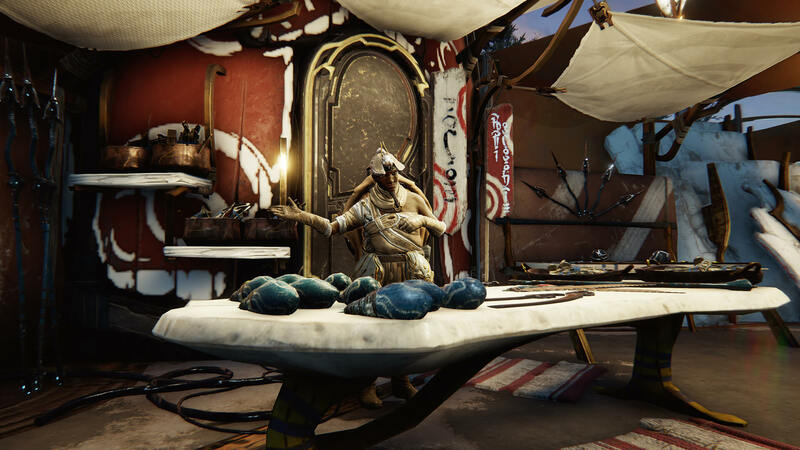 Radio chatter suggests the Grineer have found traces of an Eidolon researcher named Onkko who vanished nearly five years ago. On the brink of a discovery, he stashed away his research in crates hidden throughout the Plains. 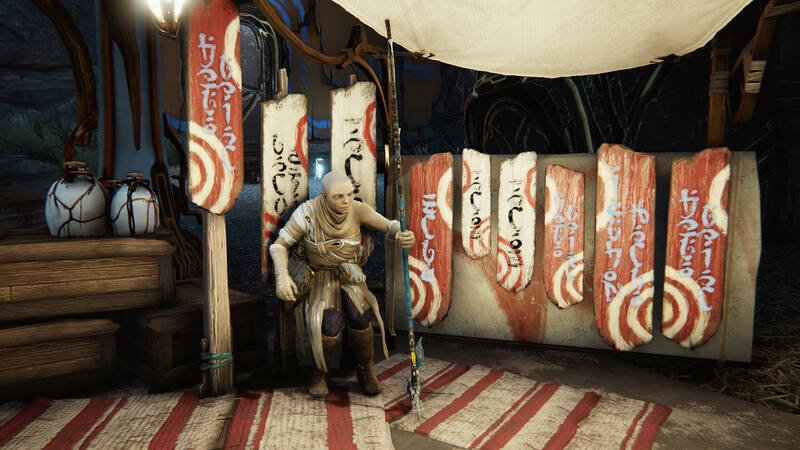 His best friend, Konzu, is worried that Onkko’s mourning widow, Saya, will do something rash. 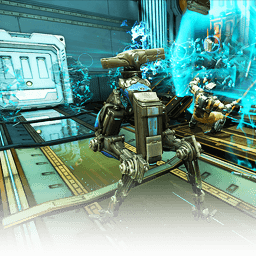 Make your Operator an expert Eidolon Hunter with Focus 2.0! 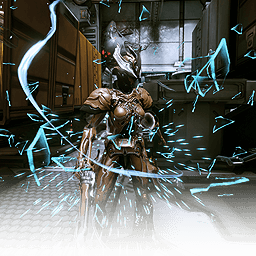 This new System changes the Skill Tree to be more combat-focused and allows you to equip your Operator with distinct Weapons and Armor. All of your current Focus Points will be refunded for use in this new System. Expand your levels of customization by adding new Weapons and Mod Sets to your Arsenal. The deadly Astilla shoots slugs that explode on impact, dispersing lethal glass shards in all directions. Maim your enemies with the Volnus. This lightweight, glass hammer can tear through the toughest of foes. The stealthy Fusilai pierces through flesh and armor taking down enemies unheard. 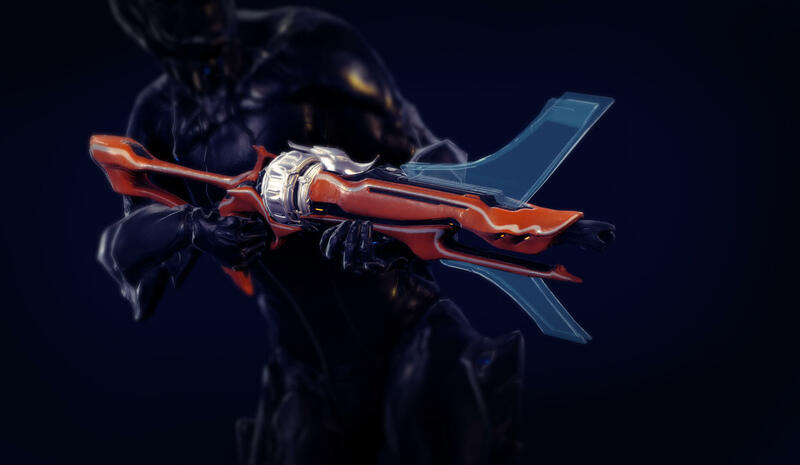 The Argonak is a Grineer rifle that highlights enemies in red while actively zoomed in. This makes enemies easier to spot and attack, especially at long distances or at night. 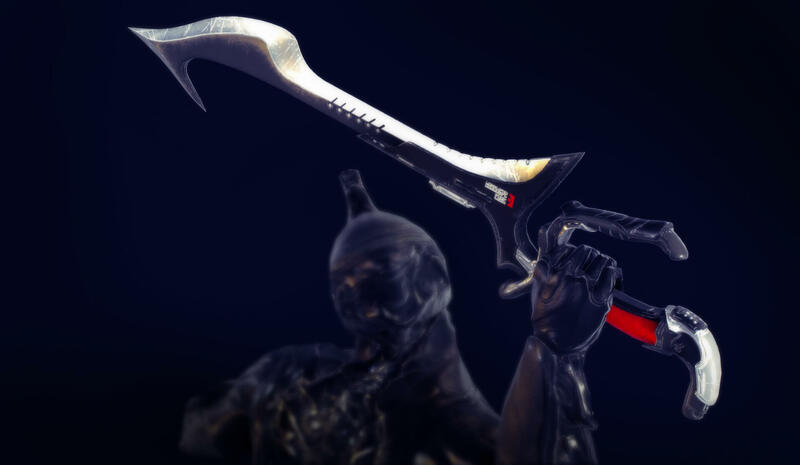 With its curved, sickle-like shape, the Krohkur is a deadly and highly versatile weapon allowing the wielder to hook and slash their enemies. 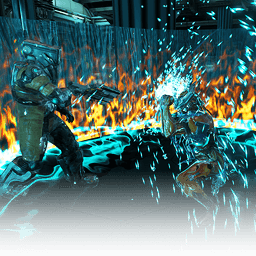 Give your Warframe and Weapons a boost with new Mod Sets. 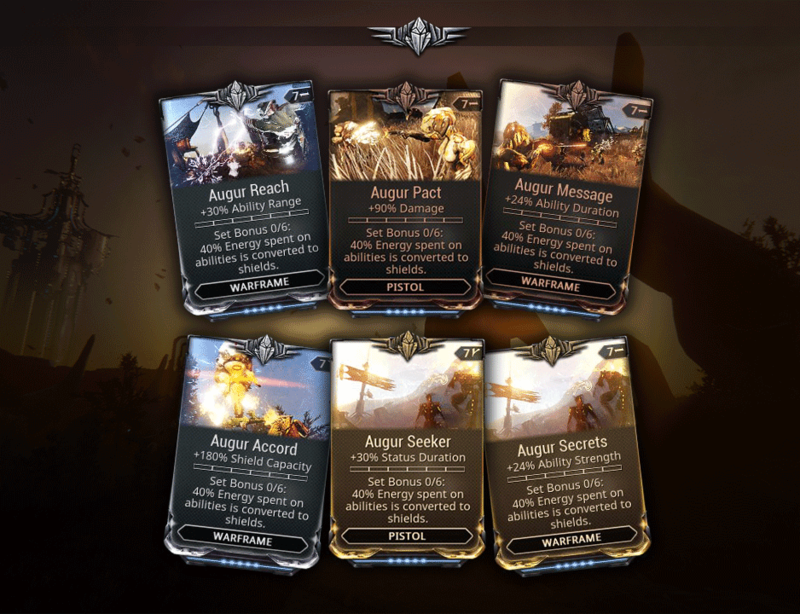 A Set Bonus is applied if equipped with Mods from the same set. 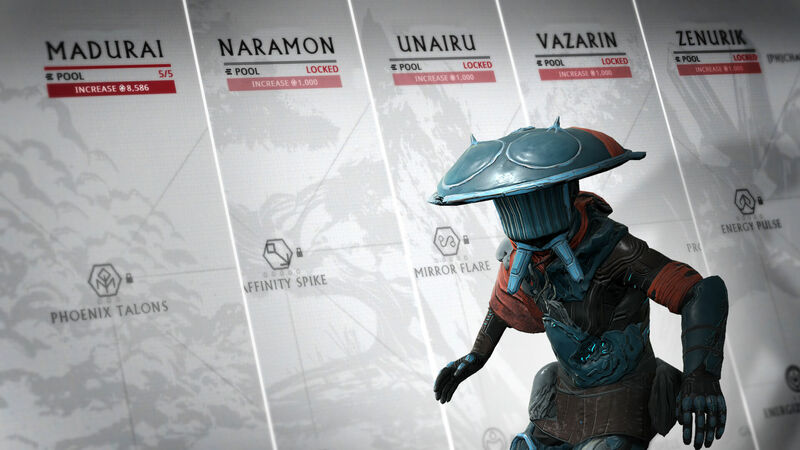 These Mods are available as potential rewards from completing Bounties from Konzu in Cetus and may also be acquired as drops from Assassination bosses. Set Bonus – 150% Energy spent on abilities is converted to shields. *Stats shown at Max Rank. Subject to change. Harness the magnetic force around you with the new Mag Pneuma Collection. 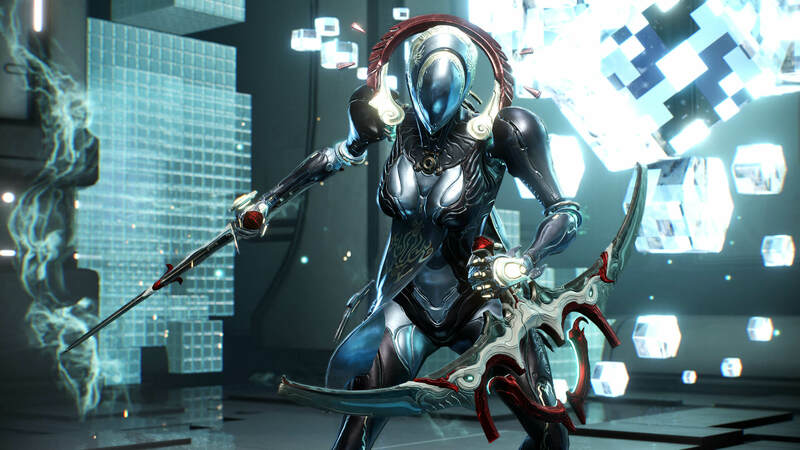 Includes the lavish Mag Pneuma Skin, Maruta Tonfa Skin, and the Vasa Syandana. Search for ‘Glass Fish’ Memory Fragments to unlock Ostrons Folklore. 4 new Weapon Stance Mods that will be possible rewards from bounties and can drop from Assassination targets. 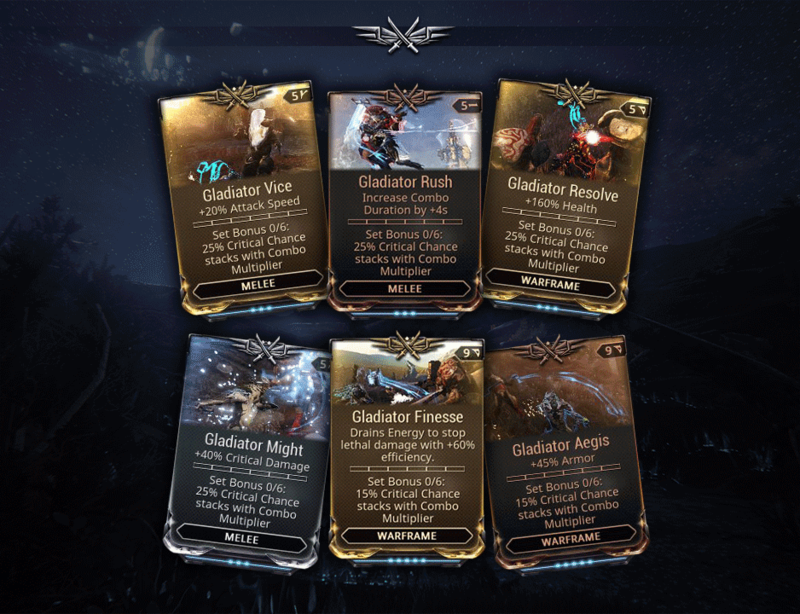 11 new Plains of Eidolon themed Achievements will be added. The ‘Gear Wheel’ item capacity will be increased to 12 items. Weapon fall-off damage has been added to reduce the effectiveness at extremely long distances. This is only noticeable at extreme ranges over 300m. 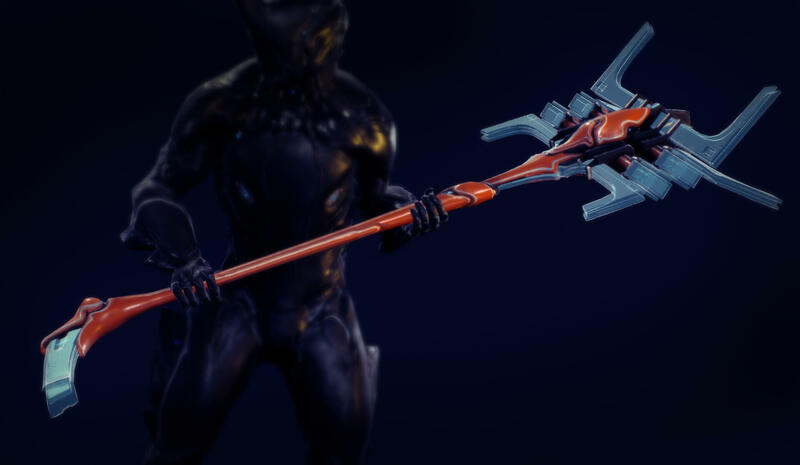 Instantly unlock a free Soma Prime and Scindo Prime with Twitch Prime! Find out more here.